A fun way to practice subtraction facts and celebrate Valentine's Day! 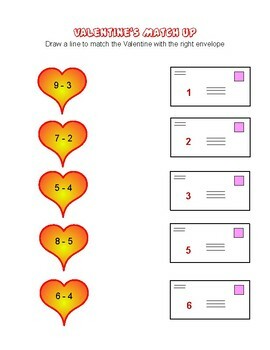 Match the Valentine with the correct envelope. 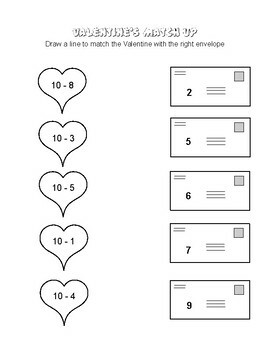 Available in 3 versions: subtraction up to 10, subtraction with "10 Friends", and subtraction up to 20. Black and white and color versions of all pages - total 6 pages.